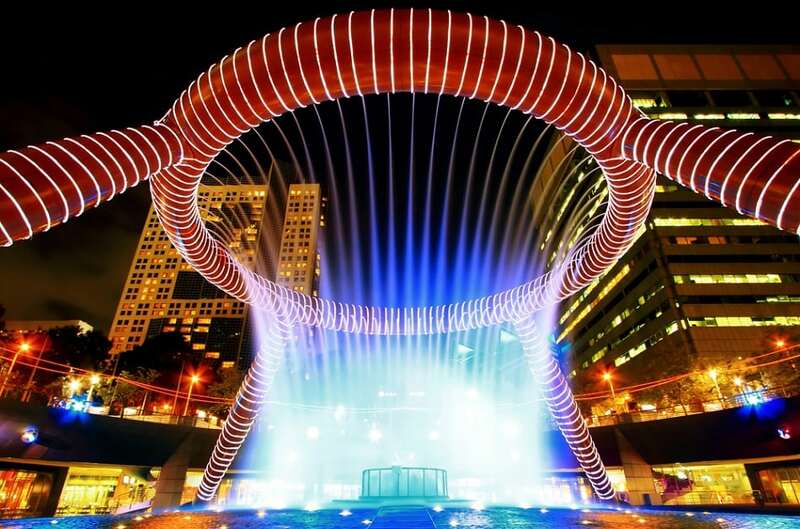 This 18,115 square ft silicon bronze fountain has a 216 ft ring resting on four legs. It is 45 ft tall and while the base is located underground the round top is visible at ground level. The fountain was constructed in accordance to Feng Shui principles. In Chinese culture, water symbolizes wealth and life.